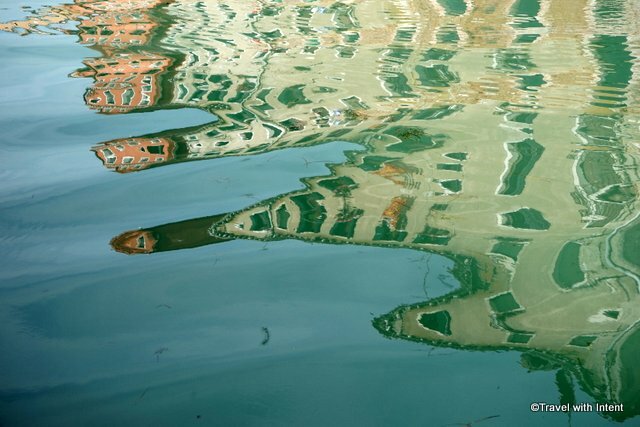 This reflection in a Venice canal reminded me immediately of Gaudí’s Casa Batllo in Barcelona. Isn’t it wonderful? Linked to Weekend Reflections, Twist, Scenic Weekends and Weekly Top Shot. That is an incredible shot. Very Gaudi like I must say. Fabulous for the theme. Oh, that’s wild! Great shot. What a great ans special photo. I see what you mean – and it’s a great shot. I agree, the picture is great! I really thought it was taken in Barcelona. What a good spot. Very nice reflection! Maybe sthis was Gaudi´s inspiration? Thank you for sharing this image. I like the distorted outlines in the reflection. It adds to the creative element. Very true. That’s a great capture! The similarity with Gaudi’s style is amazing. So much detail in this dramatic reflection. this is s fantastic reflection and very unusual. Have a great weekend. Oh man… at first glance, I thought it was one of those NASA photos taken from space! Oh yes, I see the likeness. I didn’t take many photos of reflections when I was there, because everyone else was doing just that! But I couldn’t resist this one.